Timberland, makers of outdoor and active wear has expanded their Earthkeepers shoe collection with the Hookset Oxford. Earthkeepers footwear is designed with a commitment to the environment by using recycled and eco-conscious materials like organic cotton and recycled plastic bottles for the lining. The collection features boots, sandals, and sneakers. 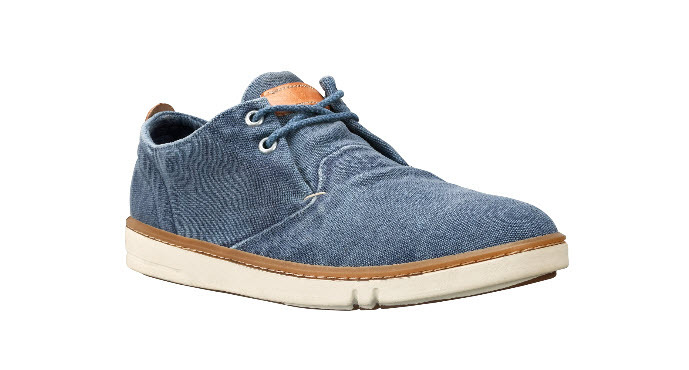 The Hookset is a low top everyday shoe made with 100% organic cotton canvas, 100% organic cotton laces, natural latex for the footbed and outsole and rustic leather accent pieces. This environment conscious shoe is stylish and perfect for all-weather conditions.